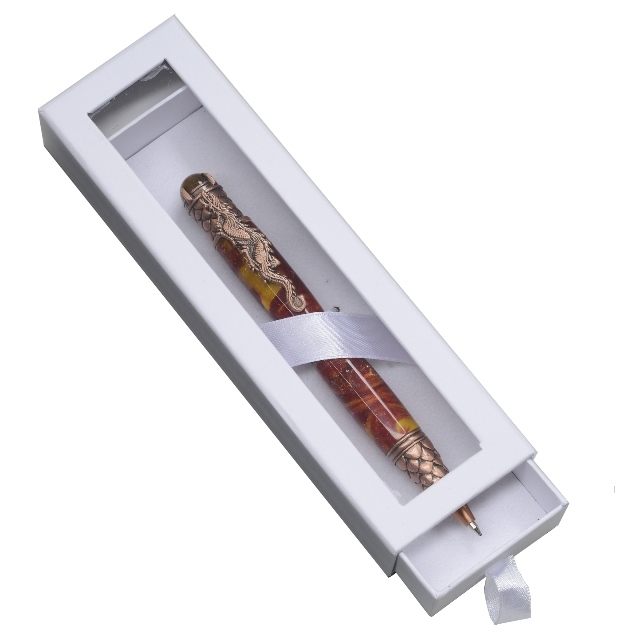 The clear plastic viewing window on this box lets you show off your pen even when the box is closed. gift box solution. Inside dimensions 1in. h x 7-1/4in. x 2in. wide. Fits the widest and longest pen styles.